My Business Expo, held in Johannesburg on 10 March, was a resounding success with record delegate attendance, hundreds of exhibitors, together with an inspiring line-up of South Africa’s top entrepreneurial thought leaders. This marks the eighth successful annual My Business Expo – Africa’s largest business exhibition for entrepreneurs looking to start or expand a business. Some 14 129 delegates from all corners of South Africa and beyond attended this year’s event which incorporated the Business Start-Up Expo, Access to Finance Indaba, The Franchise Show, Build a Business LIVE, as well as Trading Across Borders powered by DHL, and The Financial Wellness Zone powered by Experian. The highly regarded business start-up and growth forum was once again hosted by the National Small Business Chamber (NSBC) and delegates were treated to a lively programme of presentations, panel discussions and seminars, all led by top business experts and specialists. 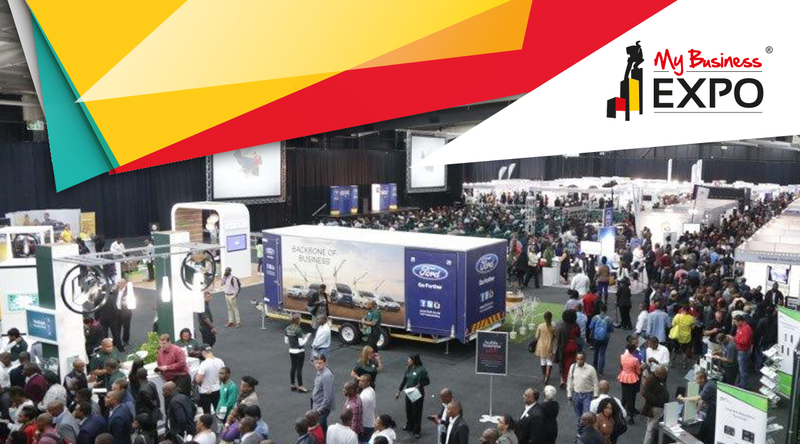 ‘The unprecedented turnout and positive response to the 2016 My Business Expo is testament to the importance that small businesses play in South Africa. It shows that aspiring entrepreneurs have a thirst for the knowledge and practical tools that will help them succeed,’ says Mike Anderson, NSBC founder and CEO. View the full Expo Gallery here. The day’s events also included The Financial Wellness Zone, powered by Experian, and Trading Across Borders, powered by DHL. Fatima Sullivan, vice president of customer services for DHL Express Sub-Saharan Africa chaired a panel discussion together with First National Bank head of global business development Zak Sivalingum and Ashlin Perumall, senior associate at law firm Adams & Adams on how best delegates should go about getting their businesses ready for cross-border trade. Discussions centred on how entrepreneurs should be well acquainted with the various trade regulations of each country before expanding their footprint into a particular region. In The Financial Wellness Zone, Keith Wardell, head of product & data acquisition and credit services at Experian, presented a free credit wellness workshop and offered insight into the importance of credit health in today’s business environment. Another notable highlight from the one-day expo was the much anticipated Build a Business Live event featuring inspiring talks by four global entrepreneurial and influential speakers. Audiences were left delighted and inspired by talks from Mark Keating, Gavin Sharples, Mark Berger and Mike Anderson which encompassed all aspects of both business and personal success. Mark Keating, CEO of Sales Guru, delivered a high energy presentation sharing the secrets of top sales performers, while Gavin Sharples took a humorous and enlightening look at the key attributes of successful people. Drawing on a career spanning 30 years, Mark Berger motivated delegates with a talk on ‘The 5 P’s to Success’. And adding to the dynamic entrepreneurial entertainment was Mike Anderson’s talk which explored what business owners should do to become super successful. The talk took its namesake from Anderson’s new book titled ‘Never Surrender: Become Super Successful Now’ – a must-read for ambitious self-starters looking for inspiration. ‘The success of this year’s expo is especially encouraging in the face of challenging economic conditions, and the NSBC is thrilled to be part of fostering an exciting entrepreneurial culture which has the power to create new jobs and grow the economy,’ notes Anderson. In addition to My Business Expo, the NSBC hosts a number of events throughout the year especially designed for new and growing SMEs. 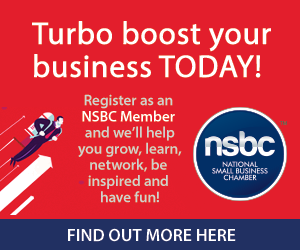 NSBC members also qualify for incredible specials and an array of value driven benefits. ‘The aim of events like My Business Expo and the goal of the NSBC is to give small businesses an extra edge by providing practical tools to build a business, stay in business and become successful,’ concludes Anderson. For more information on the NSBC and how to join visit www.nsbc.org.za.